Share Market Live: Indian stock markets (Sensex and Nifty) closed lower on Friday facing a knee-jerk reaction in the intraday deals with Sensex closing 280 points lower and Nifty slipping below 11,150 while Yes Bank (down 28%) and DHFL (down 42%) ended in deep red. 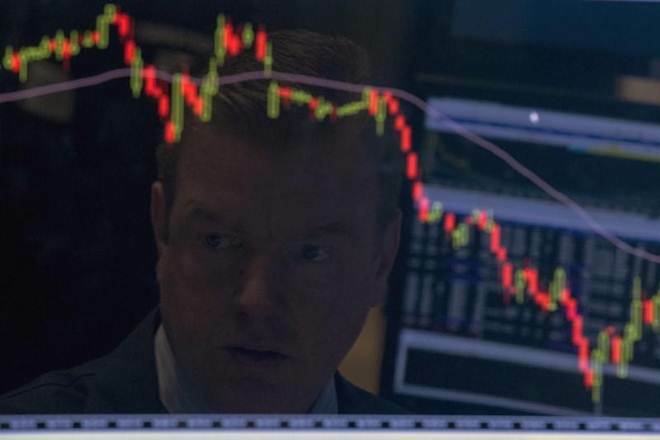 Share Market Live: Indian stock markets (Sensex and Nifty) closed lower on Friday facing a knee-jerk reaction in the intraday deals with Sensex closing 280 points lower and Nifty slipping below 11,150. During the day, a market-wide sell-off was seen in stocks with the benchmark Sensex plummetting 1,128 points and Nifty tripping below 10,900. Shares of Yes Bank, collapsed 34% intraday, settled down 29% while DHFL shares ended down 42% after nosediving 60% intraday. "This is a kind of a panic sell-off occurs when the usually large amount of stop losses gets triggered as markets were not expecting such a drawdown in a single trading session," Mustafa Nadeem told FE Online. It was basically widespread to multiple companies, specifically, to NBFC space as there were concerns over credit risk coupled with that plunge in private banks, NBFC, and infrastructure housing finance companies, Nadeem said further. A lot of stop losses that were there in the market at much deeper levels of around 11,200 - 11,150, Mustafa Nadeem said. It was hardly 8-9 minutes of transactions that were much bigger that dragged the Benchmark index down. Though, on the flipside, There was buying seen at lower levels that pushed markets back above 11K level. Sensex was down almost a 1000 point within those few minutes, Mustafa Nadeem said. Technically this will change some technical setup in the medium term. If one would recall the same mode was seen in Early January this year. Indian share markets ended lower on Friday after witnessing a knee-jerk reaction following the bloodbath in housing finance companies and NBFCs with Sensex losing 280 points and Nifty finishing below 11,150. BSE Sensex concluded at 36,841.6, down 279.62 points or 0.75% while NSE Nifty finished at 11,143.10, down 91.25 points or 0.81%. Shares of DHFL and Indibulls Housing Finance, cracked up to 60% in the afternoon deals, were trading under pressure in the late session. The stock of DHFL was trading at Rs 358.55, down 41.28% while Indiabulls Housing Finance was trading at Rs 1,046.55, down 9.51%. Sensex was trading at 36,521.00, down 600 points or 1.62%, Nifty was trading at 11,037.40, down 196.95 points or 1.75%, Nifty Bank was trading at 25,378.70, down 3.42%. Amid the bloodbath in the equity markets, the Indian rupee touched a day's bottom of 72.46 against US dollar. According to data available on Bloomberg, the rupee fell 8 paise to 72.4638, per unit US dollar. Earlier today, the rupee touched a two-week high of 71.7575. I would be a buyer now that the fall is already over, Ashwani Gujral said to CNBC TV18. Following the sharp plunge in the stock market, Looks like a technical sell-off, Madhusudan Kela of Reliance Capital told ET Now. Their short-term liquidity is very very good and this is a speculative unwinding in share markets, Madhusudan Kela said. Long-term investor, if you understand the company and faith in management, excellent opportunity to buy these companies; if you think the management is good and will come out stronger, then it’s a good opportunity to buy the shares, Madhusudan Kela said further. Shares of the housing finance companies recovered partly within minutes of crashing. DHFL is trading at Rs 424.40, down 30.49%; Indiabulls Housing Finance trading at Rs 1,088.80, down 5.85%. Oil futures inched up on Friday amid concerns over supply as U.S. sanctions on Iran's crude exports loom, although calls by U.S. President Donald Trump for lower oil prices dragged, a Reuters report said. Brent crude for November delivery was up 26 cents, or 0.33%, at $78.96 a barrel while US West Texas Intermediate crude for October delivery was up 7 cents, or 0.10%, at $70.39 a barrel, the report added. Indian stock markets witnessed a steep and sudden sell-off in the afternoon deals on Friday. Rajat Sharma of Sana Securities told FE Online that stock markets are "extremely overvalued" and Sensex can fall even 2,000 points from here while NSE Nifty can correct by about 1,000 points. "Nothing has changed fundamentally, I mean we have the same macro-economic situation, etc, but when a sell-off happens, nobody can predict, Rajat Sharma said further. Following the 55%-plunge in DHFL share price, biggest since listing, Kapil Wadhawan, CMD, DHFL said to CNBC TV18 that it is a big surprise and shock to him. We are sitting in a strong liquidity position and there is not default whatsoever, Wadhawan said. All this what we are seeing is a "panic-stricken market reaction" and the total liability position till 31 March 2018 was just Rs 4,800 crore, Wadhawan said further to CNBC TV18. At the same time, there is close to Rs 10,000 crore of liquidity available with us in the system other than collections that we accrue on a monthly basis, Wadhawan said. NPA position is strong and the asset quality is top notch, Wadhawan added. BSE Sensex was trading at 36,132.33, down 988.89 or 2.66% while NSE Nifty was trading 10,945.05, down 289.30 points or 2.58%. Indian rupee pared morning gains following the sell-off in the equities, mainly in housing finance companies, but was still trading higher as compared to its previous closing. The rupee was trading at 72.1488, 23 paise or 0.32%, the Bloomberg data showed. DHFL extended losses after falling 45%. The stock of DHFL dropped a whopping 55% to over a 1-year low of Rs 275.30 on BSE while the share price crashed to Rs 305.30 on NSE, down 50%. A sudden sell-off was seen in most of the NBFCs (Non-Banking Finance Companies) with DHFL plummetting as much as 45%. In the Nifty Financial Services index, 14 of 20 stocks fell into negative territory with Indiabulls Housing Finance losing more than 11% followed by Shriram Transport Finance (down 6%), Edelweiss Financial Services (down 4%), Bajaj Finserv & Bajaj Finance, down 4%, M&M Financial Services down 4%. Shares of the Mumbai-based DHFL took the maximum hit as its shares collapsed 44.99% to a 52-week low of Rs 335.85 on NSE. Extremely high trading volumes were seen in the shares of DHFL, as at 12:53 pm, about 2.8 crore equity shares were traded on NSE alone. The S&P BSE Sensex surged 368 points on Friday, the recovery after 970-point fall in this week earlier, to a day's high of 37,489.24 tracking the strongness in Indian rupee value against US dollar, lower crude oil prices, government's directive to oil marketers to book future prices of crude oil and positive Asian cues. Shares of ICICI Bank, Reliance Industries, HDFC Bank, ITC, Axis Bank, HDFC and SBI were the biggest positive point contributors to the benchmark index, as these stocks collectively added about 350 points. The Indian rupee strengthened further against US dollar in the early afternoon deals on Friday following the sustained weakness in the crude oil prices. 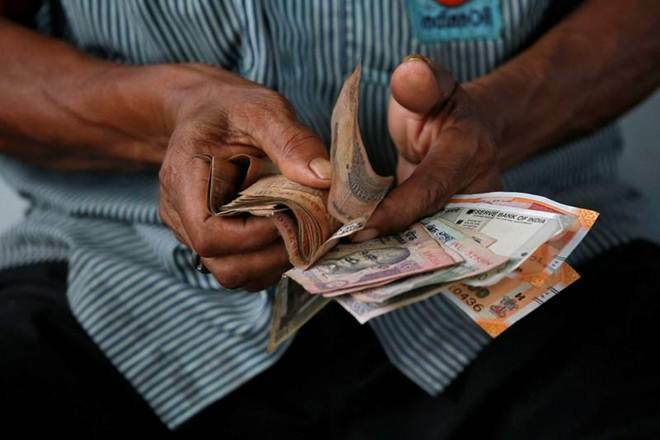 The domestic currency (rupee) extended morning gains on Friday and hit a fresh 2-week high at 71.7663, up 62 paise per unit US dollar, the Bloomberg data showed. The rupee is trading 120 paise higher from the all-time low of 72.97 apiece US dollar. Earlier on Tuesday this week, the rupee went very close to hitting 73/$ and made a record low at 72.9675 against US dollar. Jet Airways (India) shares slumped more than 7% on Friday to nearly 4-year low after India's biggest full-service airline said that income tax officials were conducting a survey at its premises. The stock of Jet Airways slipped as much as 7.1% to Rs 225.85, its lowest since October 2014. Up until Wednesday's closing price, Jet Airways shares have declined by 70% in the current year so far. "Income Tax officials are conducting a survey at the premises of the company since 19 September 2018. The company is fully cooperating with the authorities and are responding to the queries raised by the Income Tax Authorities," Jet Airways said in an exchange filing. Asian stock markets rose on Friday after Wall Street hit a new high and a survey showed Japanese manufacturing accelerating, an AP report said. Tokyo's Nikkei 225 rose 0.5% to 23,793.35, Hong Kong's Hang Seng added 0.9% to 27,712.47, China's Shanghai Composite Index climbed 0.3%, erasing earlier losses, to 2,737.27 while Seoul's Kospi was up 0.2% at 2,327.87. Yes Bank share price on NSE fell as much as 31.7% to Rs 218.1, their steepest percentage plunge since January 2008, after the Reserve Bank of India asked CEO and MD Rana Kapoor asked to leave. According to a Reuters report, Jefferies has said that it does not subscribe to the view that without Kapoor there is no future for this systemically large bank, or that its financials have been cooked up. Yes Bank shareholders voted in June to extend Kapoor's term for three years, pending approval from the RBI. Earlier this week, late on Wednesday, the Reserve Bank of India (RBI) allowed Rana Kapoor to continue as CEO & MD till 31 January 2019. Jefferies has reduced the target price to Rs 365 from Rs 445 with rating 'buy' while Macquarie has said that the absence of any communication from Yes Bank or RBI on this matter will be an overhang on the stock now. Macquarie has an 'outperform' rating on the stock with target price of Rs 425. Yes Bank share price collapsed as much as 34% to more than a 2-year low on Friday morning after country's fifth-largest private sector lender said that the present MD & CEO Rana Kapoor may continue as MD & CEO till 31 January 2019. The board of directors of the bank are scheduled to meet on 25 September 2018 to decide on the future course of action, Yes Bank said in a regulatory filing. The stock of Yes Bank bottomed to over a 2-year low of Rs 210.1, down 34.03% on BSE while the stock tanked 31.67% to Rs 218.10 on NSE. 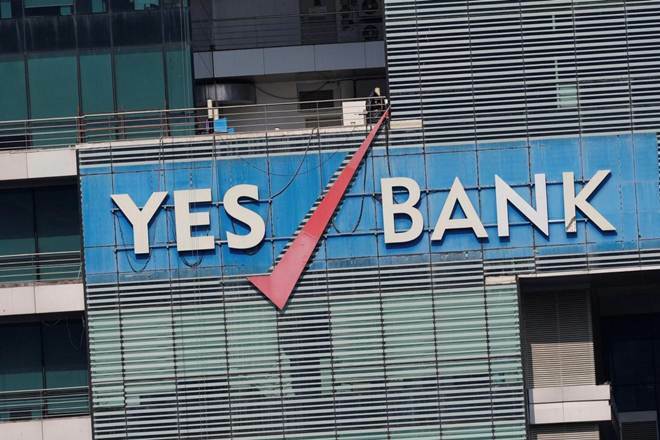 Unusually high trading volumes were seen on the counters of Yes Bank, as at 9:39 am, about 10.5 crore equity shares of Yes Bank exchanged hands on both NSE and BSE with 9.7 crore equity shares being traded on NSE alone. Also Read | Yes Bank share price sees the steepest fall in 10 years; should you buy or sell shares? Indian equity markets started on a positive note on Friday following the record high closing of Wall Street's Dow Industrials, lower crude oil prices and sharp recovery in rupee value vs US dollar. BSE Sensex opened at 37,278.89, 157.67 or 0.42% and NSE Nifty opened at 11,271.30, up 36.95 points or 0.33%. The Indian rupee jumped as much as 55 paise against the US dollar in the opening trade at the interbank foreign exchange market on Friday. The rupee regained a level of 71.8288, up 55 paise per unit US dollar, the Bloomberg data showed. India's government is planning to ask state oil firms to lock in their crude futures purchase prices, Reuters reported citing an unidentified government source, anticipating a spike when US sanctions on Iran snap back again in November. The move would be another step to tackle a slide in the rupee, as oil prices are putting pressure on India, the report added. The global indicator of NSE Nifty, SGX Nifty Futures is trading in green above 11,350 levels on Friday morning at 11,359, up 0.42%. The barometer has shuttled in a range of between 11,389.50 and 11,317, earlier today. The trade-sensitive industrial stocks led the Dow Jones Industrial Average to a record closing high on Thursday, the last of Wall Street's main indexes to fully regain ground since a correction that began in January with all three major US indexes finishing higher as trade worries subsided. Microsoft Corp and Apple Inc rose 1.7% and 0.8%, respectively. The Dow Jones Industrial Average rose 251.22 points, or 0.95% to 26,656.98, the S&P 500 gained 22.8 points, or 0.78% to 2,930.75 and the Nasdaq Composite added 78.19 points, or 0.98% to 8,028.23.